I watched Master Chef on Sunday night and the lovely, Nigella Lawson was the guest Judge for the evening. It was the mystery box and in it was a lovely selection of ingredients that the competitors had to use to create a heart warming dish. Amongst the ingredients were, Pumpkin, Ginger, Cumin and more. It got me thinking about lots of dishes I could make but on Monday, it was Pumpkin soup, using some of the mystery box ingredients that I made. Not quite Master Chef standard in looks but big on flavour and bang on nourishment! 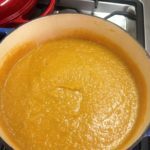 There are so many pumpkin soup recipes and we all have our favourite ones. So why do we need another one? 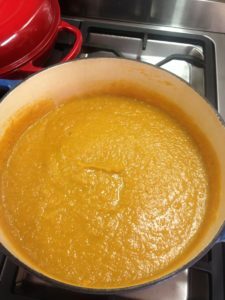 Pumpkin soup is one of those soups that even the most harden pumpkin haters like and it is creamy, warming and fills you up, which in winter is something we all look for. I have added extra vegetables, which I usually always do, so a great way to pimp up your vegetables intake, especially with fussy one. They won’t even know they are there. The warming, yet subtle Moroccan spices add another extra layer of flavours but can be omitted or played around with according to your desires. 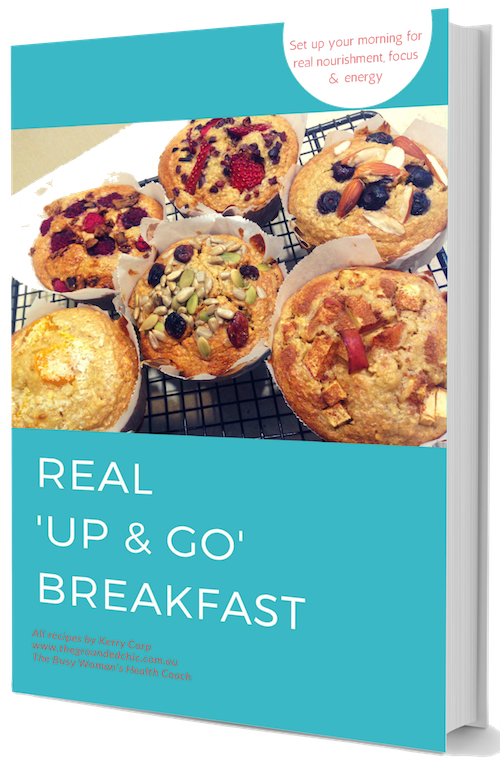 I know that once winter hits, I often have a pot of soup on the stove bubbling away, filling the house with aromas and the best part is, you always have left overs for breakfast, lunch or dinners over the next few days…winning all round! 1 litre of chicken or vegetabe stock I recommend homemade or a good quality brand. 1/2 tsp each, of ground cumin, corriander and smoked paprika you can vary this amount according to your tastes and desires. In a large pot, add a little butter or oil, and gently fry your leek and garlic, till soften. Be careful not to over cook, just very slowly and gently, do this. 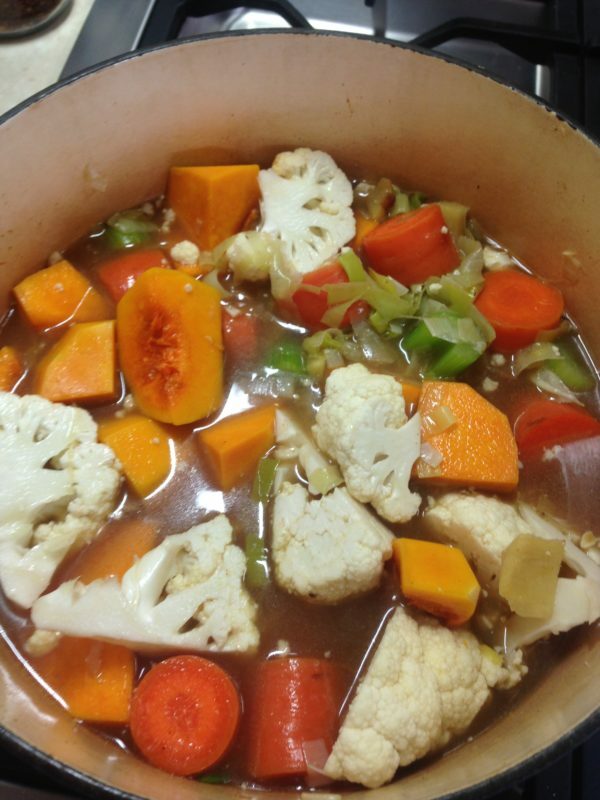 Then, add your, Stock, Ginger and chopped vegetables, except your cauliflower. Bring to the boil, then to a gentle simmer, for 15-20minutes. Add your Cauliflower and spices and simmer for a further 10-15minutes, till cooked through. 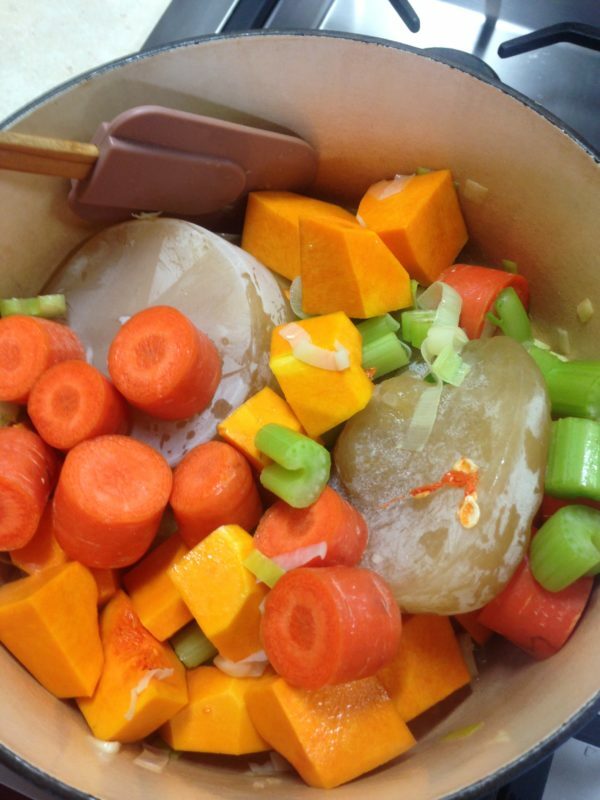 Once all vegetables are soften, take off the stove and with a hand blender, blitz up your soup, until smooth and creamy. If you don't have hand blender, you will need to add to a big blender or food processor and blend up till smooth. Just allow your soup to cool a bit, before blending. Your soup is ready to be served. You can add a sprinkling of chopped chives and if you want to add further creaminess, a dollop of natural yoghurt..
Pumpkin soup is one of those soups you can play around with flavours, by varying herbs and spices, but this recipe is one I have made up and added flavours I love with pumpkin. I hope you enjoy it as much as my family. Let me know in the comments below. Previous PostHow far I have come!